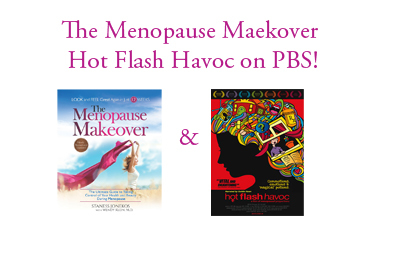 The Menopause Makeover and Hot Flash Havoc on PBS!!!! menopause, directly from world-renowned experts in the field. which reaches over 118 million households throughout the United States and Canada. of their lives. You can help us make this happen! See the list below for particular dates and times when PBS will be showing the film in your city. If you don’t see your local PBS station listed, please call them and ask when you can see it. If you missed seeing it aired, call and ask them to please show it again! This list is being updated routinely, so check back if you don’t see your local PBS stations.